Just last week, I blogged about the adorable Ruffle Bum Romper and Mary Jane Shoes I made as a baby gift for a relative. A day or two later, my close friend, Melissa, called me up and ordered a custom Baby Gift Bundle that includes the exact same thing plus a few extras for her soon-to-be great niece! She needed them in time for a baby shower this coming weekend, so I worked on them on and off for two days until they were done and dropped them in the mail yesterday. Whew! 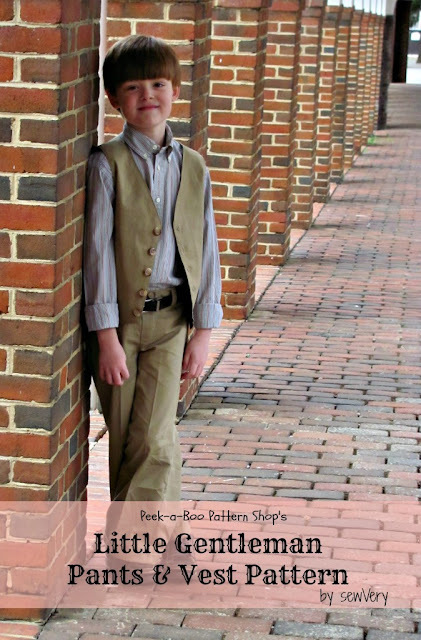 Note: I am an affiliate for Peek-a-Boo Pattern Shop, but all opinions provided in this post are 100% my own. 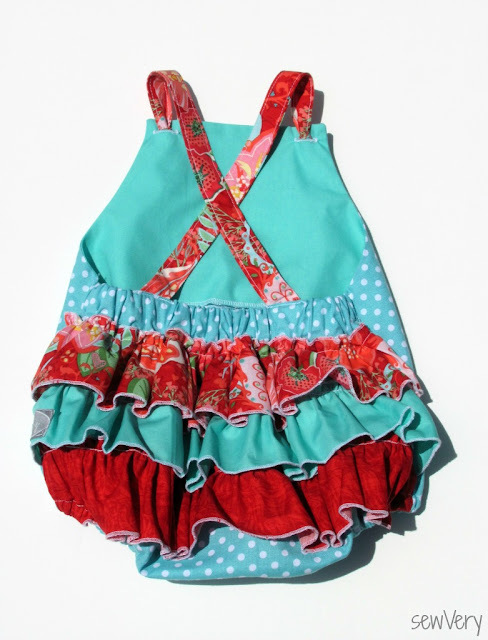 First up was another Ruffle Bum Romper by Peek-a-Boo Pattern Shop. This one is a size 3 month and is even smaller than the last one. It is so sweet! 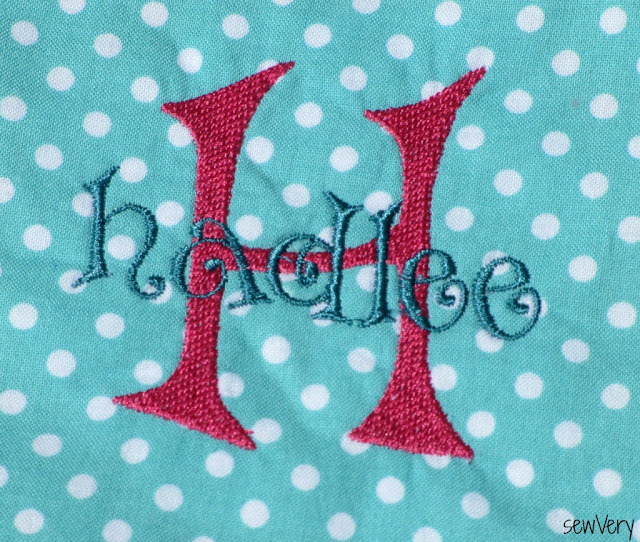 I embroidered the baby's first initial to the bodice using the Adam's Accent Monogram by Embroitique. Both the pattern and the embroidery design are quickly becoming my favorites! For the straps and ruffles, I used Anna Maria Horner's Loulouthi collection. The red is Triflora in Lipstick and the pink is Curated Bloom June. 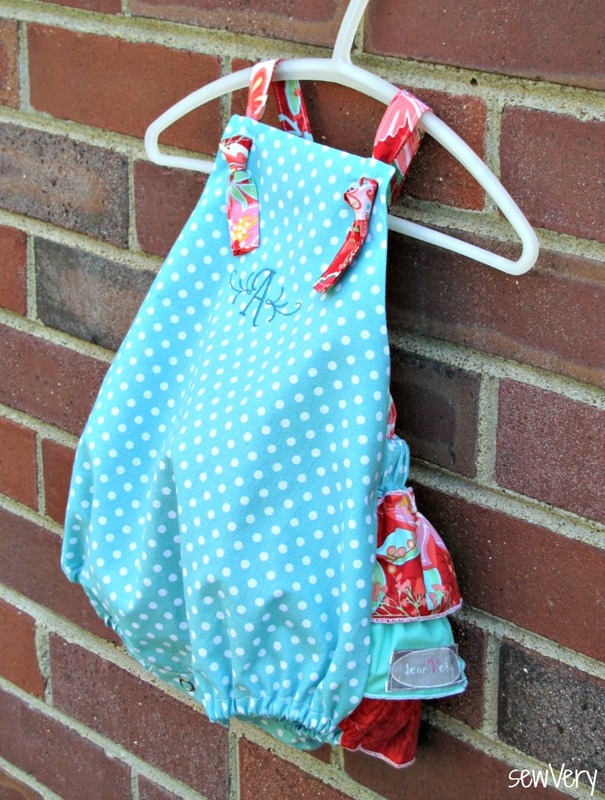 The teal polka dot fabric is quilting cotton from Joann's. Like I mentioned in my previous post about the Ruffle Bum Romper, I did add interfacing to the buttonhole and snap areas for a little extra reinforcement. I also did a better job at attaching the snaps this go around! 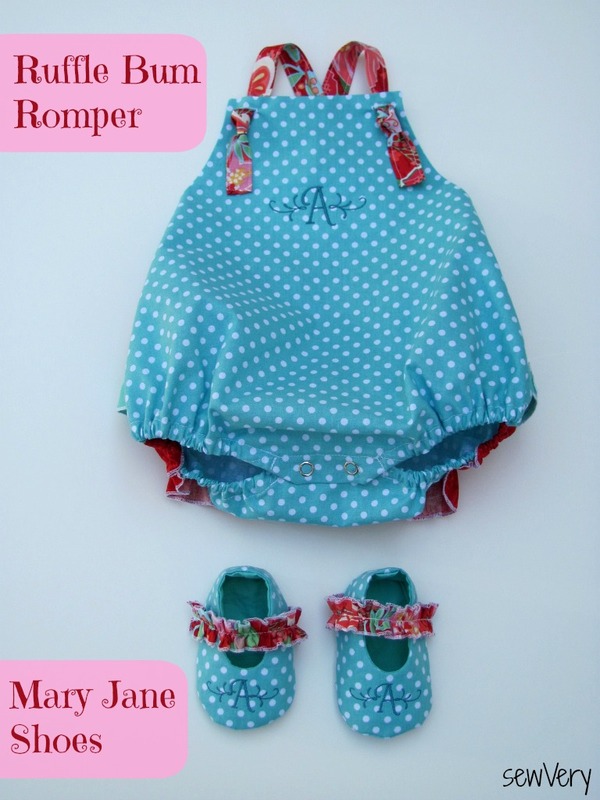 This romper also got a matching pair of little Mary Jane Shoes. I used the Little Shoes pattern again, but this time, instead of making a strap with a velcro closure, I made a strap with elastic that is sewn in place on both sides of the shoe. Thanks to Melissa for giving me the idea. 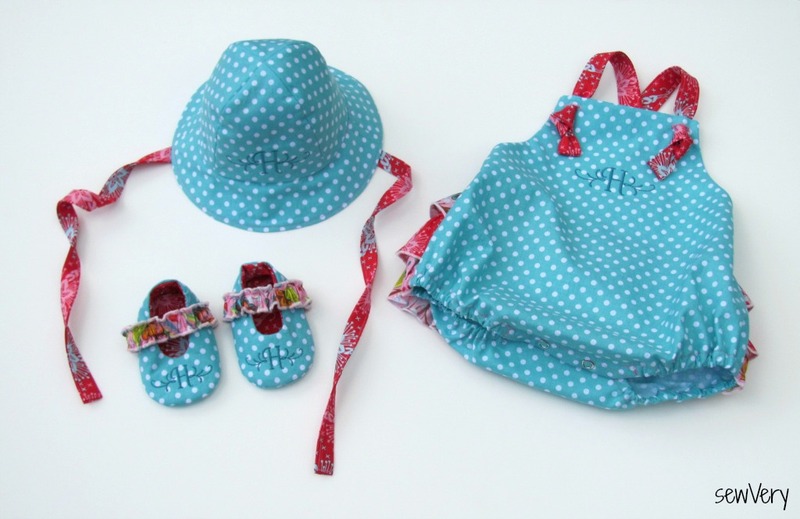 The third item is this precious, teeny tiny sun hat. 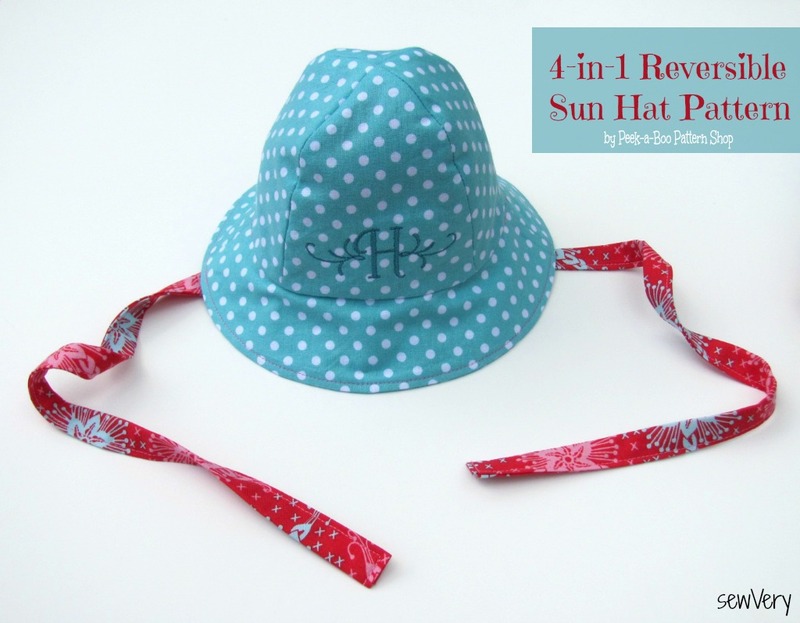 Again, I used a Peek-a-Boo Pattern Shop pattern, the 4-in-1 Sun Hat which includes sizes for a newborn up to a 10-year-old child. I also monogrammed the same initial H on it. This particular hat is a 3 month size. 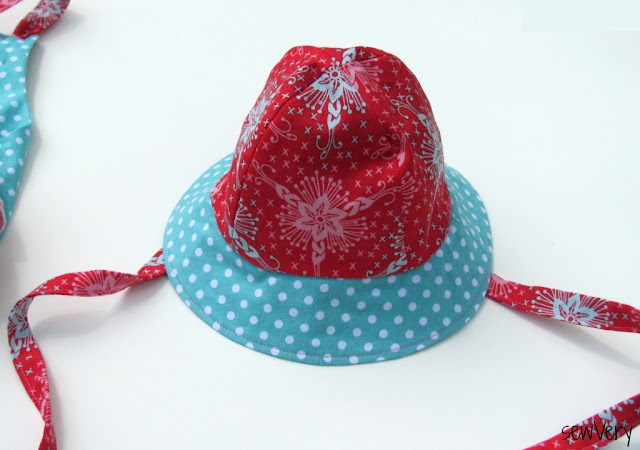 Oh, and the hat is reversible, too! The pattern shows you how to make these finished slits in the brim so that you can pull the straps through to either side of the hat. How cool is that?! 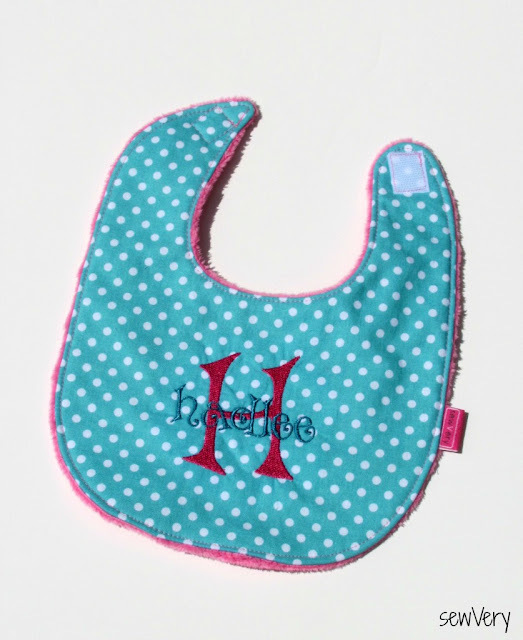 The fourth part of the Baby Gift Bundle is this embroidered baby bib. 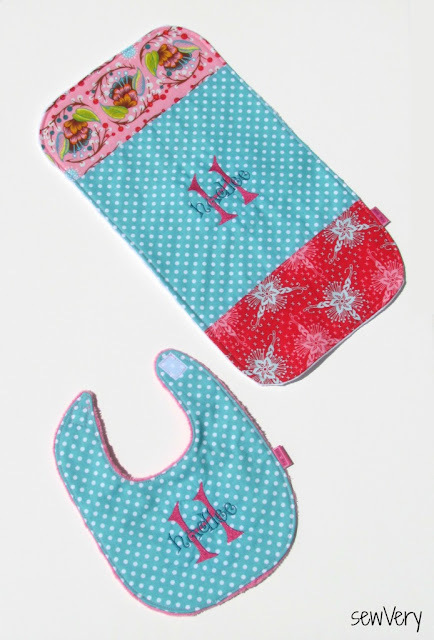 The embroidery design is Bows Embroidery Alphabet Monogram Set from Embroitique. I found the free pattern on Gingercake. I used cotton batting in between the top layer of quilting cotton and the bottom layer of pink minky fabric. Instead of using snaps for the closure, I sewed on velcro. The fifth and final item of the Baby Gift Bundle is a this burp cloth or changing pad. It's roughly 10" wide by 18" long and also has a layer of cotton batting in between the quilting cotton and minky fabric. I used my round magnetic pin holder as a guide for filleting the edges of the burp cloth. I'm really happy with how the Bows Embroidery Alphabet Monogram Set stitched out on both these items. I'll definitely use this design again. And there you have it! 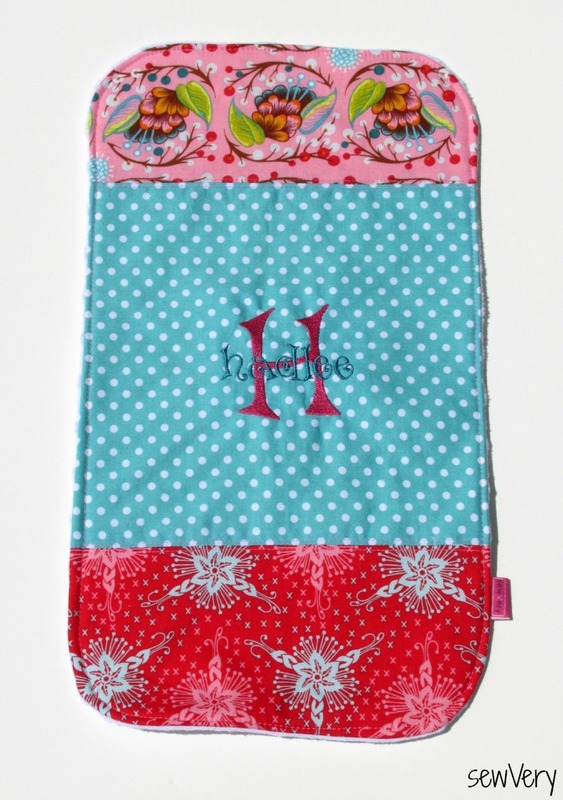 Another personalized sweet baby gift! I've been so busy sewing this week for Kid's Clothes Week that I haven't had much time to sit down and actually write up a blog post. I'm almost done with a pair of sailor shorts and a top I'm pattern testing, but I thought I would take a break and share with you this summer pajama set I made on Tuesday. I purchased this Peek-a-Boo Pattern Shop pattern, the Alex & Anna Summer PJ's, a few months back during the Sew Fab Pattern Bundle Sale. At the time, I was not familiar with sewing with knits, so I thought I might not ever use it! A lot has changed in those few months, and now I am much more confident and eager to sew with knits! This would be a great project for someone (like me) who has little experience in sewing with knits. There are few pattern pieces, and the only hemming for the sleeveless shirt version I made is the bottom of the shirt. All of the other sewing can be done on the serger. I will note that I did topstitch down the finished seam around the neck, armholes, and leg openings, but I don't think that would be absolutely necessary. 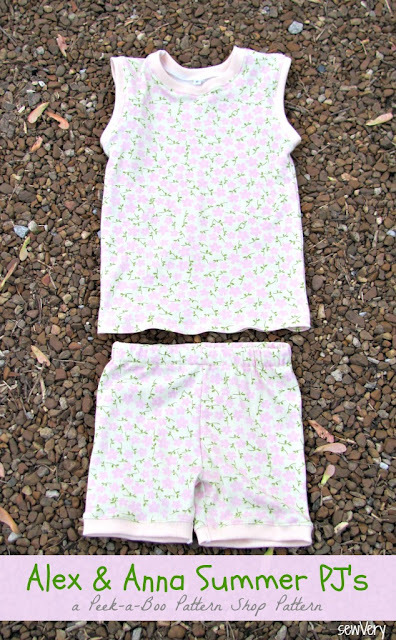 I used some cotton interlock knit that I purchased at Joann's on sale for $3 a yard, and this Summer PJ set took only about a half yard of it. The binding was some ribbed knit I had on hand. Total time to sew these together was roughly an hour! Now one thing I still need some work on is my finishing technique with the serger. 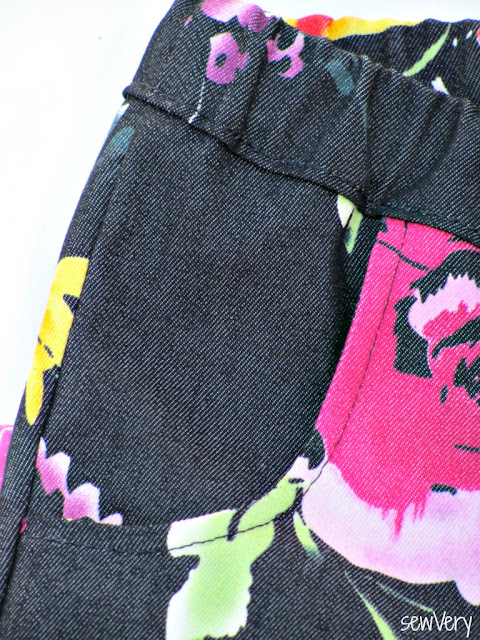 As you can see in the picture, the serged seam is too visible at the bottom of the pants. After I serge the seam, I used a zig zag stitch to secure the serged threads and then a straight stitch to tack town the very end of the seam so it would lie flat at the opening. I will have to do more research on how to get a better result for my next project. The Alex & Anna Summer PJ Pattern goes up to size 8, so I know that Ella will be getting several more sets for at least the next two years. 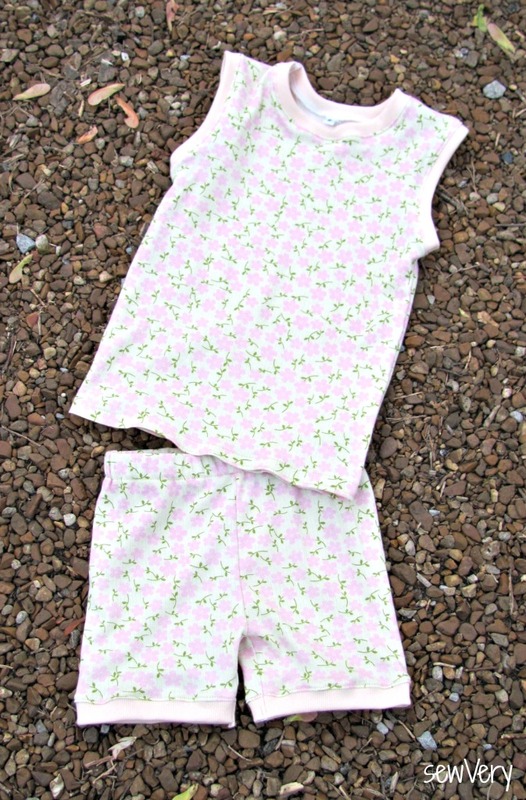 Although she normally wears a size 5, I made this pj set using the size 6 for a slightly looser fit. 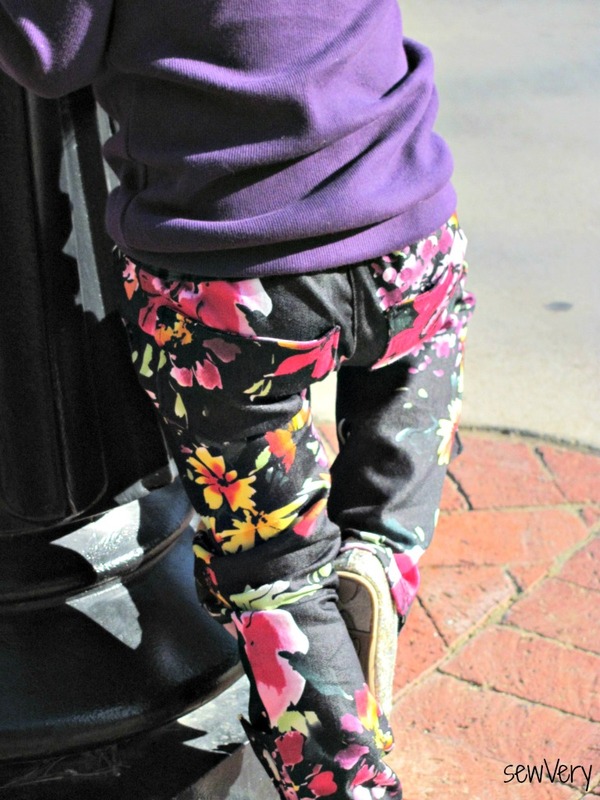 The fit is perfect on her, and I might even use this pattern to make her a pair or two of play shorts or tank tees for summer. Hope you are getting a lot accomplished this week! Now, I've got to get back to sewing! My husband's cousin is pregnant with her first child, and I received an invite to her baby shower this weekend. She's having a girl, so I had no problem deciding what to give her. I'd simply sew up something cute and adorable! 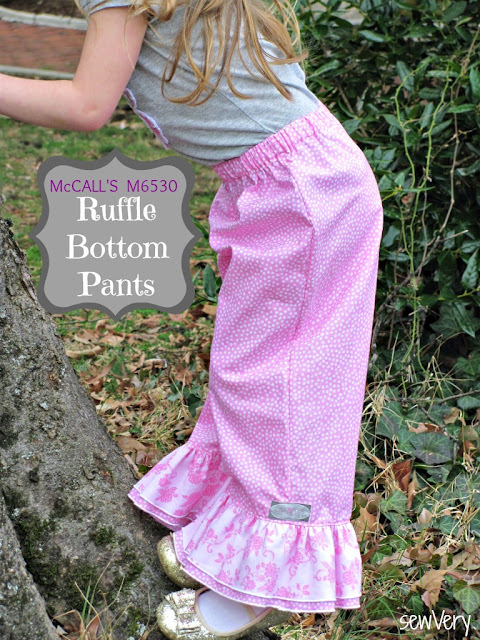 I am an affiliate for Peek-a-Boo Pattern Shop, but all the opinions in this post are 100% my own. I decided to try out the Ruffle Bum Romper by Peek-a-Boo Pattern Shop and the Mary Jane Shoes by Little Shoes. Besides a few doll clothes, I've never made clothes this small before, so I knew this would be fun. 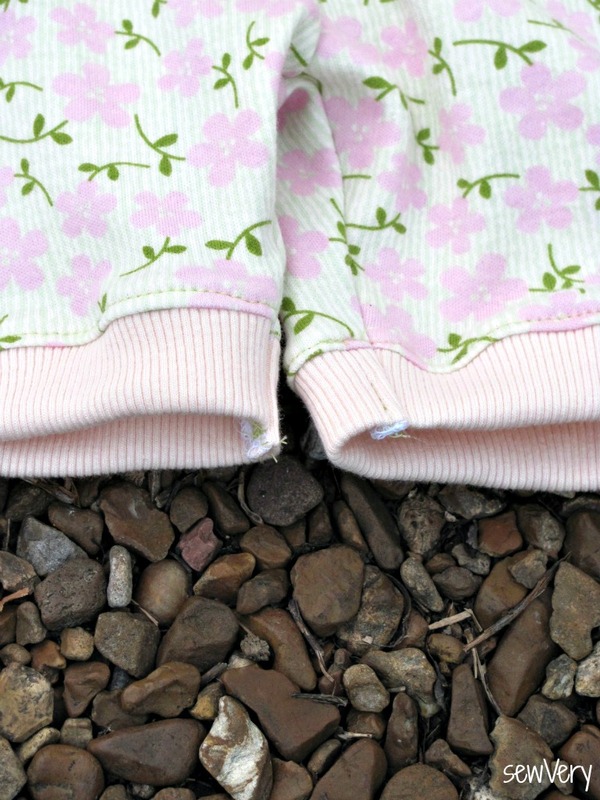 This baby outfit is also my Kid's Clothes Week Day 1 sewing project. 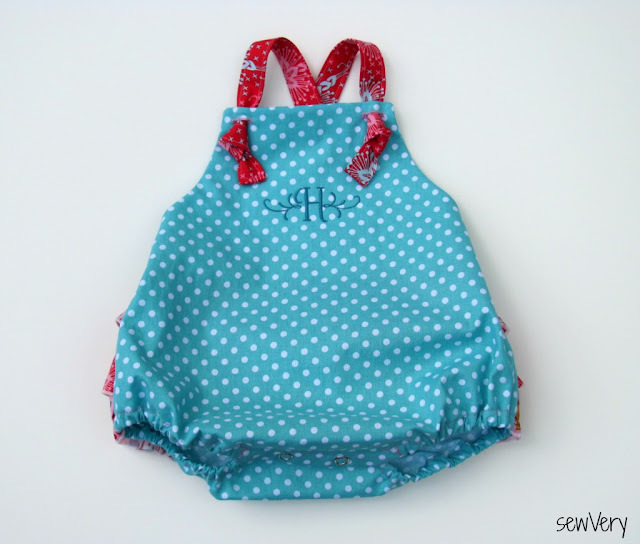 Both items were easy to sew together, even with the added monogramming. 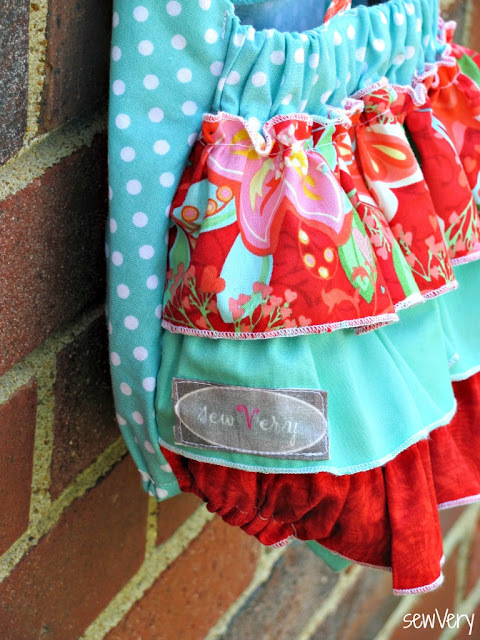 First of all, every little baby girl needs a ruffle bottom romper. 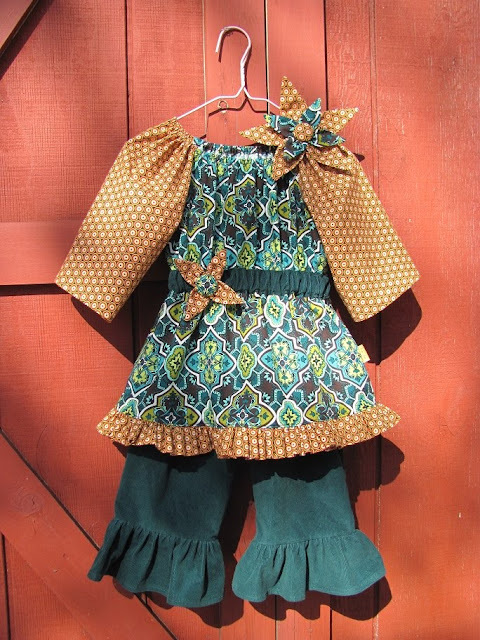 This type of outfit is just perfect for showcasing chunky baby legs and arms, and the ruffles on the bum make it look even cuter. 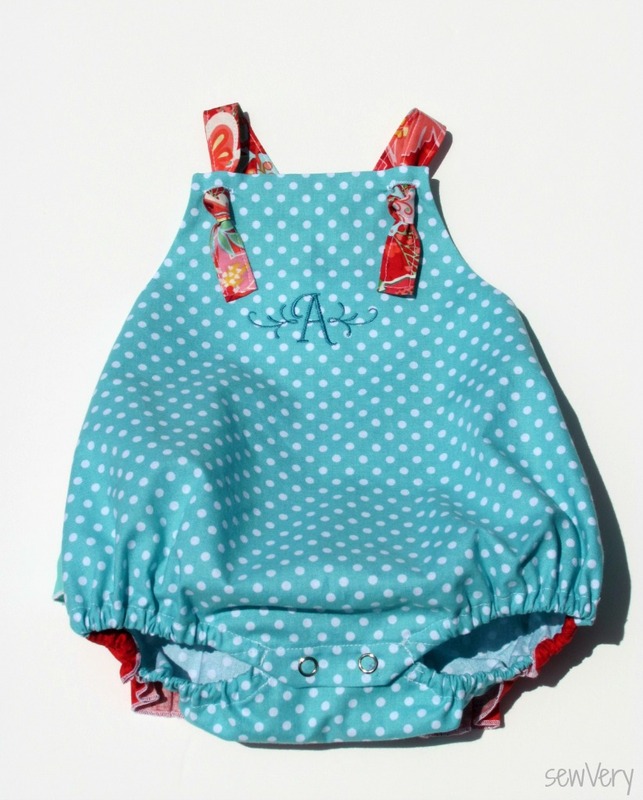 To make my version of the Ruffle Bum Romper even more adorable on the new baby girl, I opted to add a single letter monogram to the front bodice. I used the Adams Accent Monogram from Embroitque. The Ruffle Bum Romper pattern is absolutely perfect for adding a monogram or other embroidery/applique design to the front, especially since the front bodice is lined--conveniently covering up the stabilizer and stitching on the back of the bodice. I hooped the front bodice using Pellon 40 stabilizer and floated a piece of tear away stabilizer under that for extra stability. I could have used solvy on top, but to be honest, I forgot! I think the stitching turned out great though. This is the first Embroitque design I have used, and I was very please with how the 3" design stitched out. In fact, I think this was my fastest embroidery project ever! It took literally no more than 2 minutes to stitch out the A and the flourishes on the sides. I almost always have a difficult time deciding what color thread to use on these types of embroidery projects. My first thought was to use red since the ruffles on the bottom are red, but that reminded me too much of the Scarlet Letter! I'm so glad I just went with a slightly darker shade of teal than the fabric. I think it's perfect! Don't you? Ok. Back to the romper. 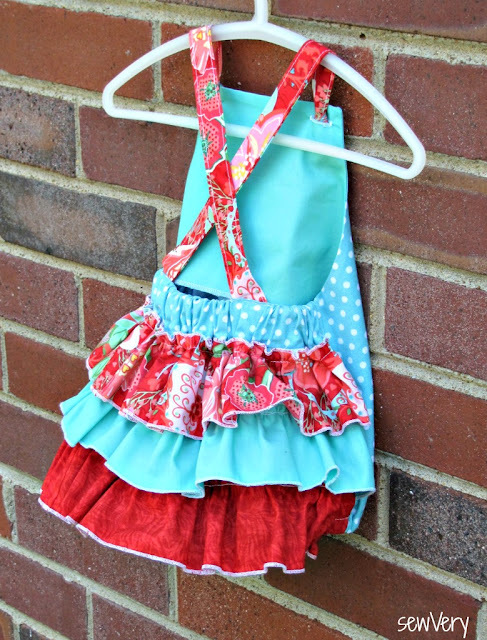 To make this romper, you'll have to know how to make a buttonhole to thread the ties through. Don't be scared! I know I used to be, but practice, practice, practice and you will get better at it! I did. For the smaller sizes, you'll also have to know how to install snaps. I have never put snaps on before, but for some reason, I already owned the pliers and a box of snaps! I just followed the instructions on the plier package and did a pretty good job. I did have to pry one off and try again because I somehow put it in the wrong place, but luckily, I didn't tear the fabric when I removed it. I forgot to wash off my mark, but it was made using disappearing ink, so it should just wash out. 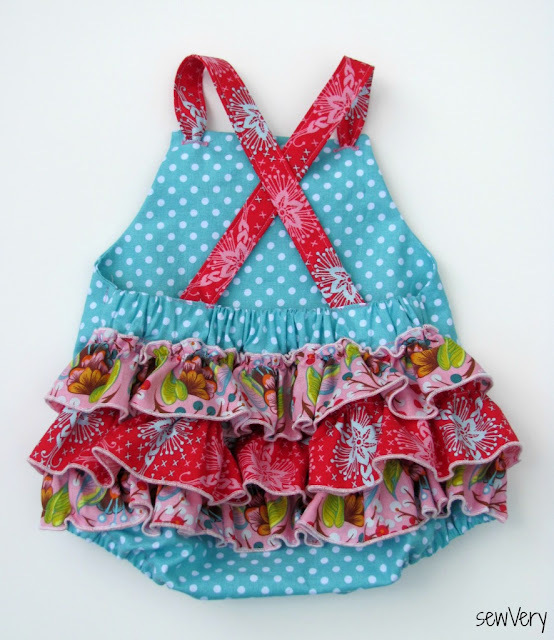 The pattern is full of detailed photos and written descriptions on how to assemble every part of the Ruffle Bum Romper. When I first read through the instructions, I was pleasantly surprised at how simple and easy it was to make one. I did do one thing slightly different than the pattern specified. I used my serger to give the ruffles a rolled edge hem instead of folding and pressing the fabric to form the hem. That was just faster for me, plus I like the look on this outfit. Now, for the next time I make a Ruffle Bum Romper, I will definitely add a small piece of interfacing in between the bodice and bodice lining at the location of the buttonholes as well as add interfacing in the hem before I attach the snaps. The pattern didn't call for any interfacing, but I think it would help the buttonholes hold up longer and keep the snaps from possibly damaging the fabric after a lot of repeated use. 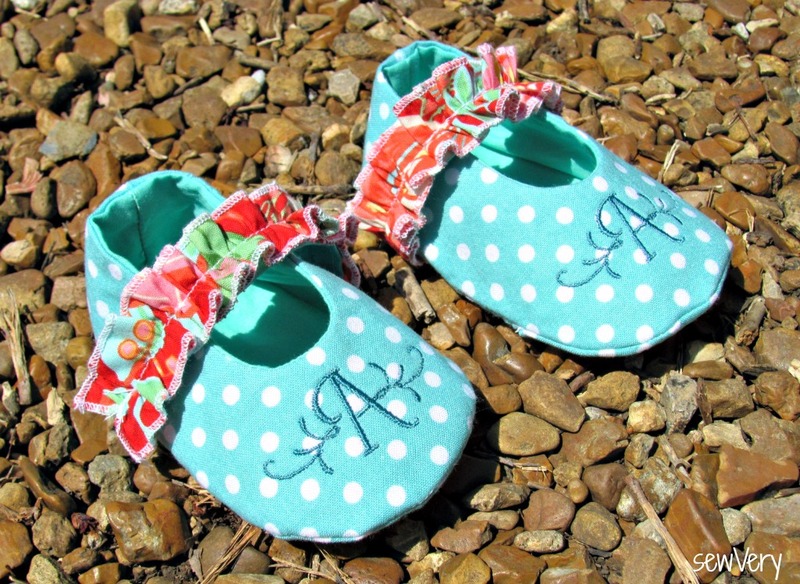 After I finished the romper, I remembered winning some baby shoe patterns from Little Shoes a few months back. I never thought I'd get to use these patterns for anything but doll shoes, but they are the perfect addition to the Ruffle Bum Romper. 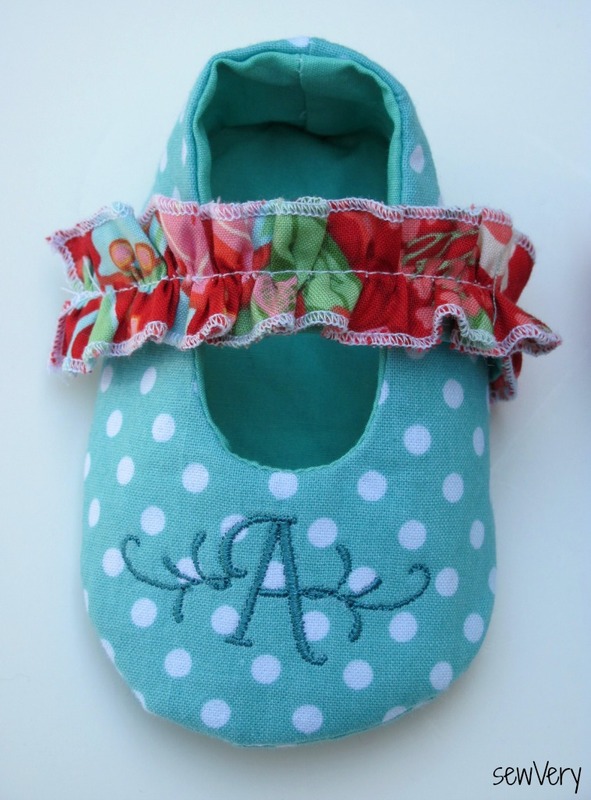 I even monogrammed the same, but smaller 2" size, Adams Accent Monogram to the top of each little shoe. Why do we find things in miniature so stinkin' cute?! Since I only have a 5x7 hoop for my Brother PE770 embroidery machine, I traced the two shoe pattern pieces using disappearing ink onto the fabric, hooped them with the same stabilizers I used for the romper, and then stitched out the monogram on each shoe piece. I had drawn mine toe to toe, so I had to flip the design file 180 degrees for the second shoe. Wish I had taken a picture of it in the hoop, but I always forget to do that while I'm working! These 3-6 month shoes took about an hour to sew together. They were surprisingly easy to make. 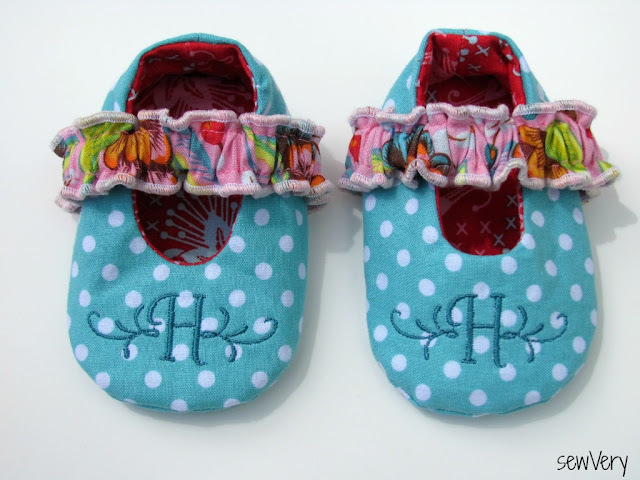 The Little Shoes Mary Jane Pattern pictures were great in showing where to stitch and how to put the pieces together. However, the written descriptions, although thorough, threw me off a little at times because of their grammar. The pattern provides sizes 0-3 months up to 18 months, and I'll definitely be using this pattern again in the future for more baby gifts! Well, I better run! The baby shower is this weekend, and I have to get this gift in the mail! 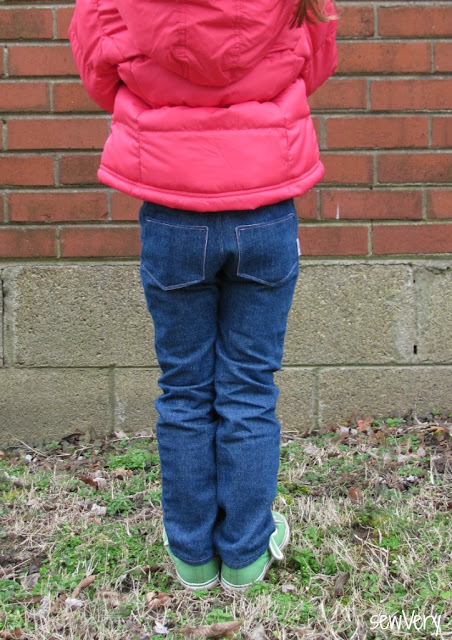 Come back tomorrow to see my Kid's Clothes Week Day 2 project! Now That's a Lot of Pants! 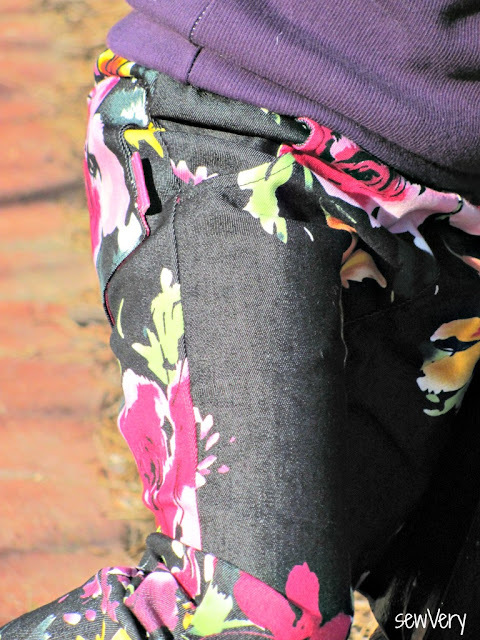 I wrapped up my daily posts of Pants Week last Friday, and I promised a round up of all the pants I've ever made and blogged about on sewVery. Here we go! To find out more information and most likely a pattern review for each pair of pants shown, click the picture to be taken directly to that post. Now that's a lot of pants! 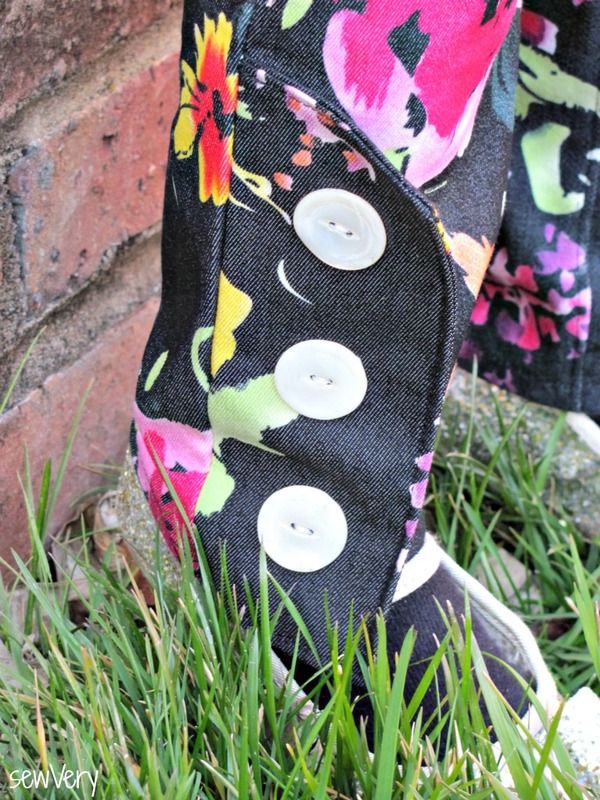 I hope you've found lots of inspiration from my projects, especially since today is the start of Kids Clothes Week! I'm participating and just finished up my first project this morning. Head over to my Facebook page for a sneak peak, and while you are there, please Like my page. When I reach 400 Likes, I'm going to have a giveaway here on the blog! 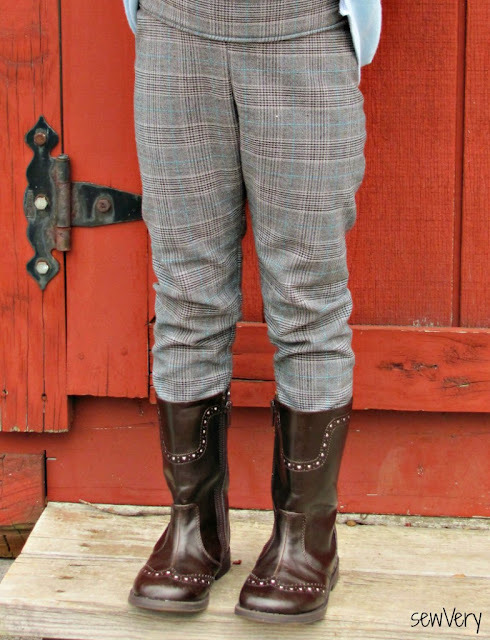 Well, we've made it to the last and final day of Pants Week on sewVery. I really appreciate everyone that's been following along. That said, I hit a big milestone for the blog yesterday--200 blog followers! And as of this morning, I am only 15 away from having 400 Facebook Likes! So, I announced on FB yesterday that when I reach 400 Likes, I'll host a giveaway here on my blog. I've got a couple of ideas in mind of what to give away, so please help me get those 15 Likes on Facebook by clicking sewVery. Now, onto the pants. Today's feature is another great pair of Shwin & Shwin Design's Lovely Rita's Skinnies. I guess I can't say enough about how much I like this pattern. This is my third pair, and they just keep getting easier and easier to make, especially with the pattern design changes that Shauna made to the revised version. 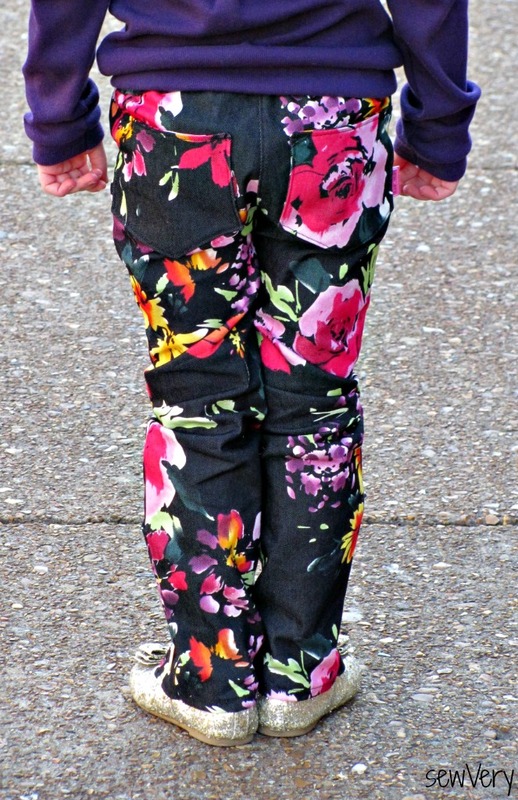 This flowered pair of Lovely Rita's is made using some bottom weight fabric from Joann's that has a bit of stretch to it. The fabric isn't very thick--it feels kind of like a twill to me--and is ideal for this pattern. I used the 5T size again, and as you can see, they appear looser than the Lovely Rita Jeans I showcased in Day 2, but the only thing I did differently to this pair is add the button flap detail to the bottom. So, I think the thickness of the fabric definitely affects the overall fit of the pant. 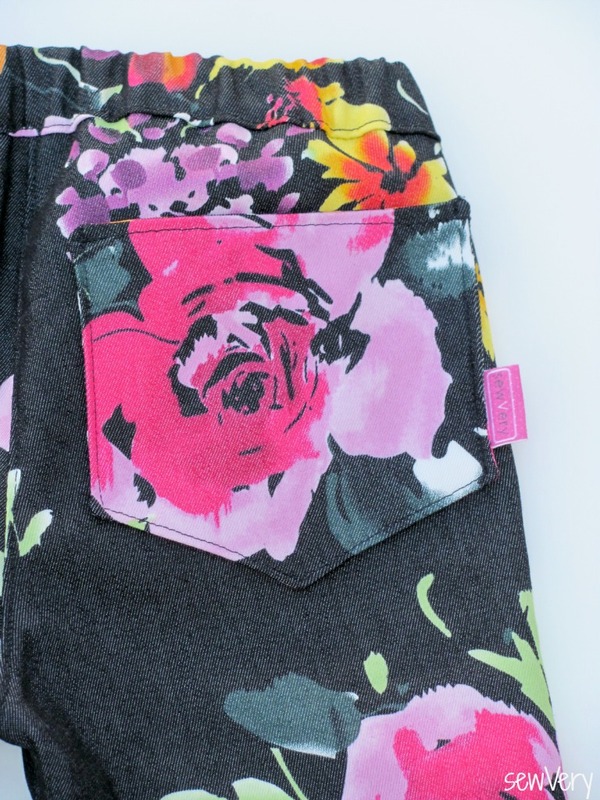 On all three pair of Lovely Rita's I have made, I chose to fully line the rear pocket rather than fold and press under the seam. I think it is just so much faster and easier to line it. 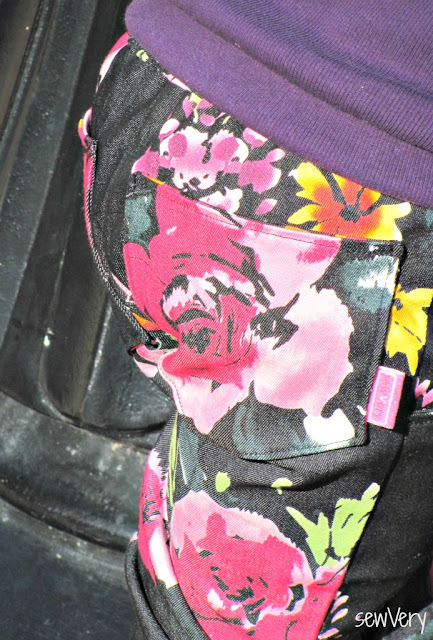 On the other two pair of pants, I did use a contrasting fabric, but this print has a lot going on, so I just used the same fabric for the lining. 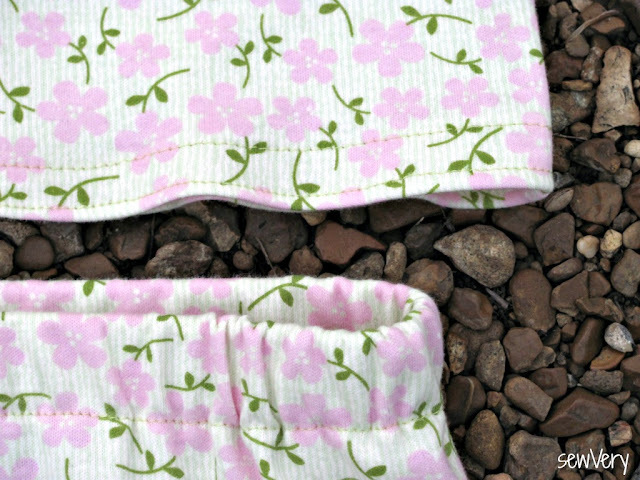 One of the changes that was made to the revised version of the pattern was to make the waistband have elastic all the way around. Now, I know what you are thinking, cause I thought the same thing. But the way the front of the pants is cut, there is very little gathering, so the pants maintain their flat front appearance and fit. I think she made this change to help keep the fabric from bunching up so much on the top of the bum. 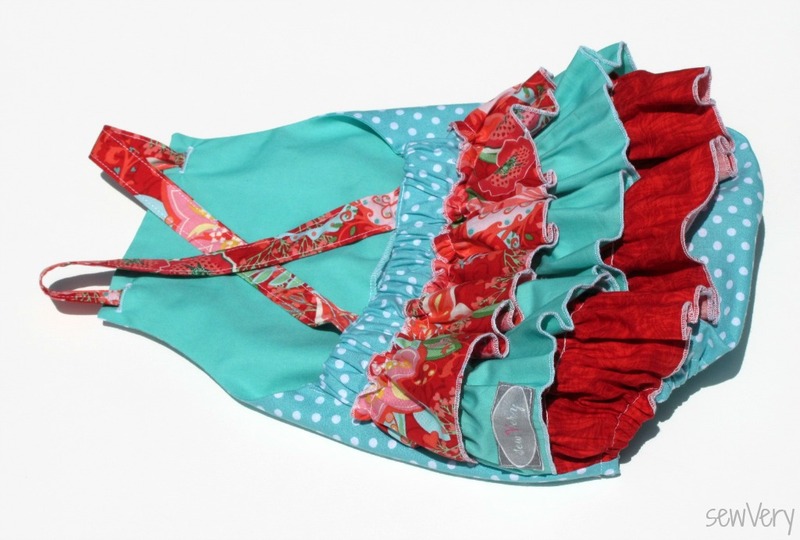 As you can see in these pictures, they are contoured to Ella's little tush, and the waistband is high enough in the back to prevent her underwear from peeking out when she bends over. Ella loves the flowers on these pants and how comfortable they are. The front pockets are functional but are mainly a design element, in my opinion, since they are so shallow. She still likes having them to keep a Starburst on hand! Ella is so happy I made her a Bimaa Top to wear with these Lovely Rita's, too. This is the second Bimaa Top I've made using EmmyLouBeeDoo's Bimaa Sweater Pattern. Here's the post to the first one. 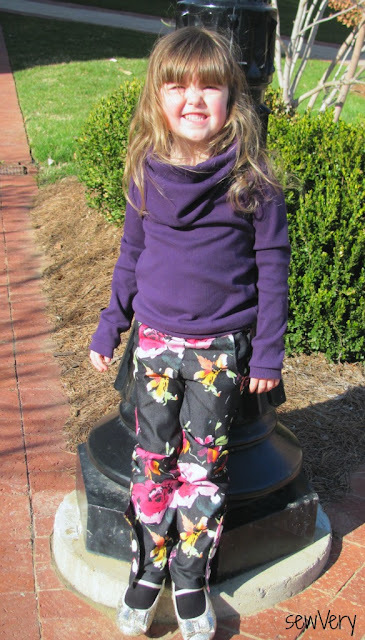 I used ribbed knit with a bit of lycra or spandex in it for this size 5T purple/eggplant version. The fabric is thicker than the fabric I used on the first Bimaa I made, but I think it works well still. Again, as with the pants, the fabric type makes all the difference in fit. Since this ribbed knit is a little thicker, the cowl neck is obviously thicker and bunches up more. Also, even though I used the 4T sleeve length this time, the sleeves look a little long out of this fabric. I'm not worried though. It just means she can wear it again come Fall! This sweater is amazingly simple to make, and the first Bimaa Sweater was the knit project that gave me enough confidence in sewing with knits to want to try other knit projects. 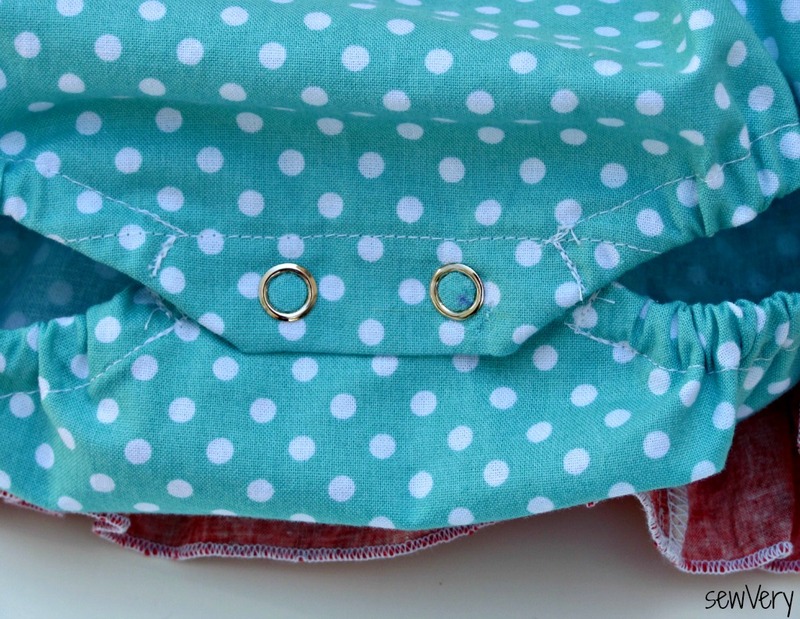 Sarah's website, EmmylouBeeDoo and her pattern have lots of helpful advice for using your serger to sew knits. That information made a world of difference for me! Thanks, Sarah! And thanks to all of you who follow along on the blog and Facebook. I can't believe how many friends I've made because of this blog. I hope I get to meet more of you in person at Sewing Summit this year! 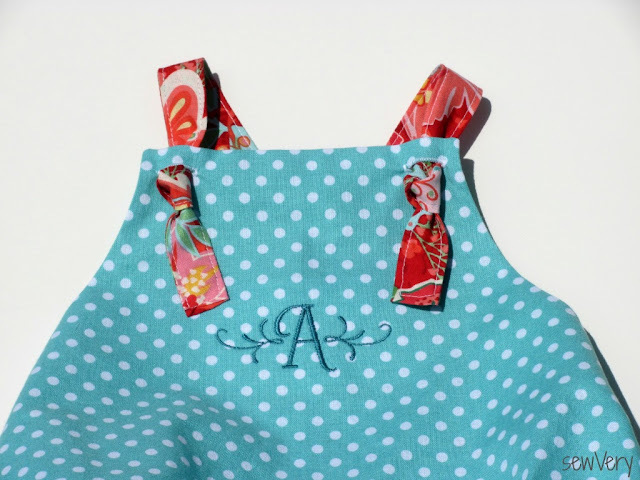 Please recruit your friends to follow along on the blog and on Facebook, and when my sewVery Facebook page reaches 400 Likes, I'll host a giveaway! 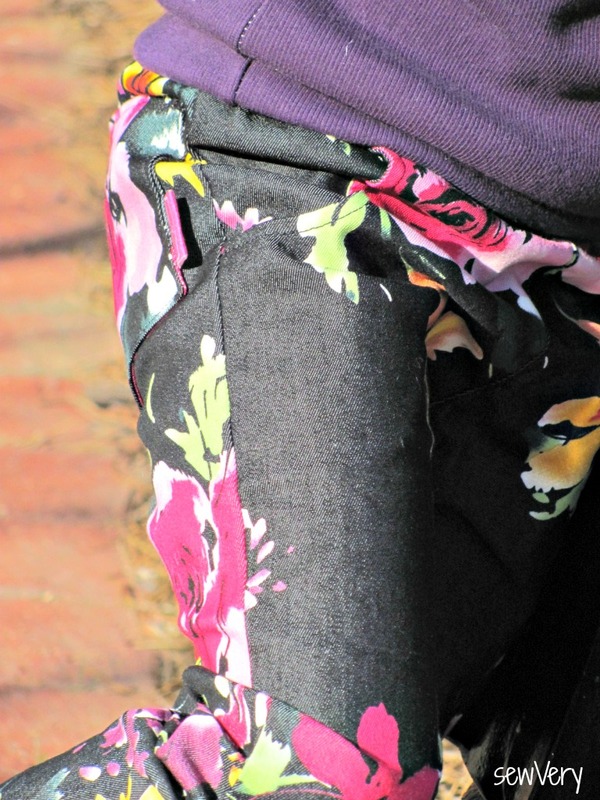 Come back this weekend for a wrap up of all the pants I've made on the blog this past year and a half. You just might find something else you want to make! 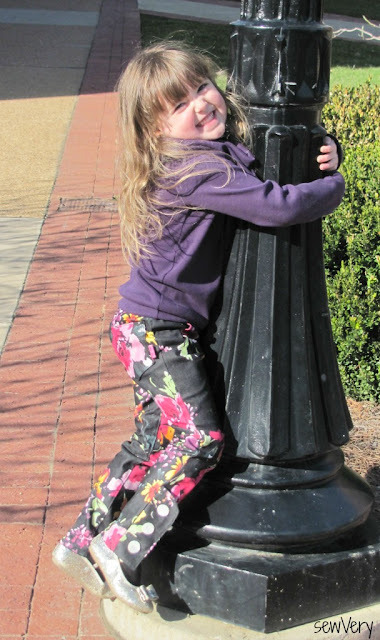 Day 4 of Pants Week brings us to a great staple piece for every little girl's wardrobe--leggings! 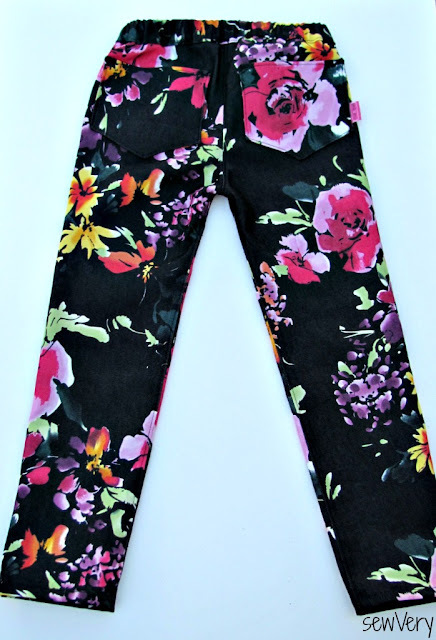 For this pair, I used the Go To Leggings Pattern. 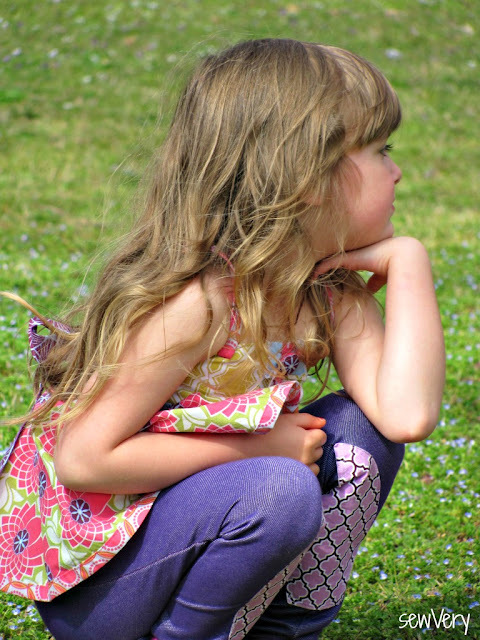 I needed a simple pair of leggings to go with one of the latest tops I've made Ella. I can't share the top with you quite yet because it's to be revealed during a pattern tour in a couple of weeks. 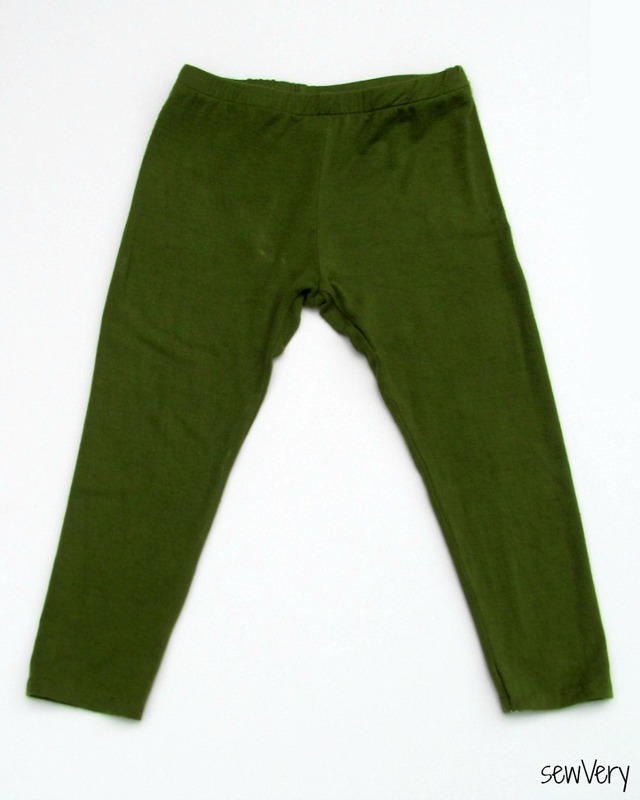 To keep things simple, I made a basic pair of capri length leggings with a normal hem. The pattern is one piece, so there are no side seams to sew! Sweet! I think I finished this pair is about a half hour. For the fabric, I used a half yard remnant of a 95% rayon 5% spandex knit. First words out of Ella's mouth when she tried them on were, "these are so soft, Moma!". They are so silky and smooth feeling, and the spandex helps give them enough stretch to stay fitted all over while my active little girl plays. 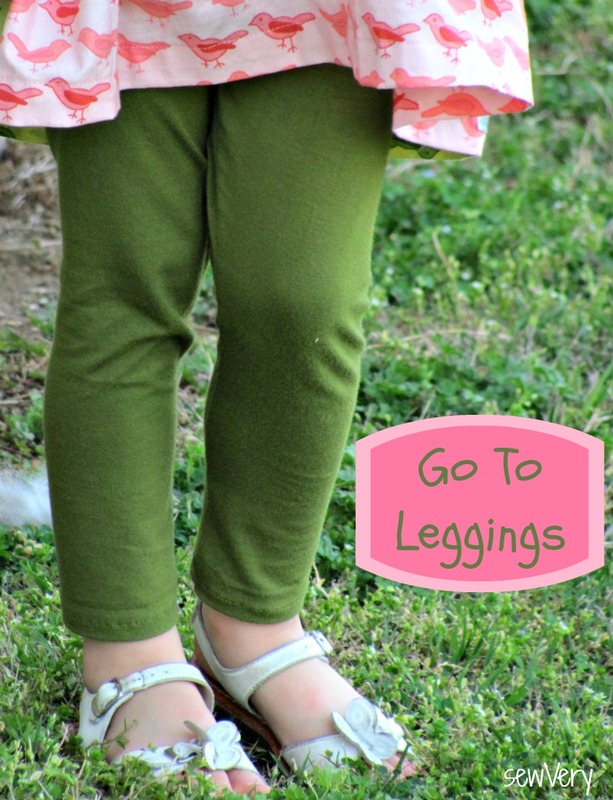 So if you are looking for that perfect leggings pattern, then I suggest trying the Go To Leggings Pattern. I haven't gotten brave enough to try out bias binding on knit, but when I do, I'm going to make Ella a pair of Go To Leggings with that keyhole opening in the back. Those are just too cute for words! Plus there are numerous other options to make from this one pattern: capris, skort, skirt, ruched, side pocket to name a few. Thanks for stopping by today. Come back tomorrow for my fifth and final day of Pants Week. I've got a great pair to share with you along with another favorite, my second Bimaa Sweater!. My Boyd St. Bowling Bag + Giveaway!